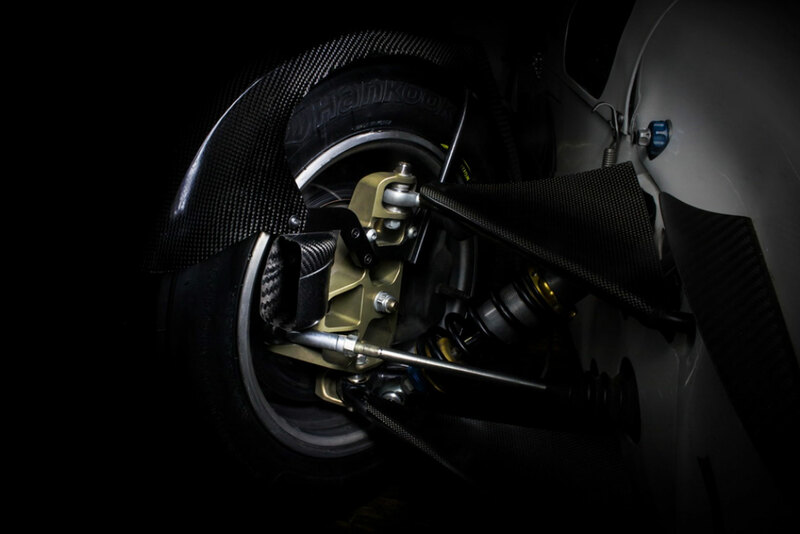 These are the essential advantages of our Formula 3 brake system with CNC-milled wheel suspension. It is difficult to argue that a Caterham equipped with Formula 3 derived AP 4-piston calipers and internally ventilated brake discs provides poor front end braking capability. 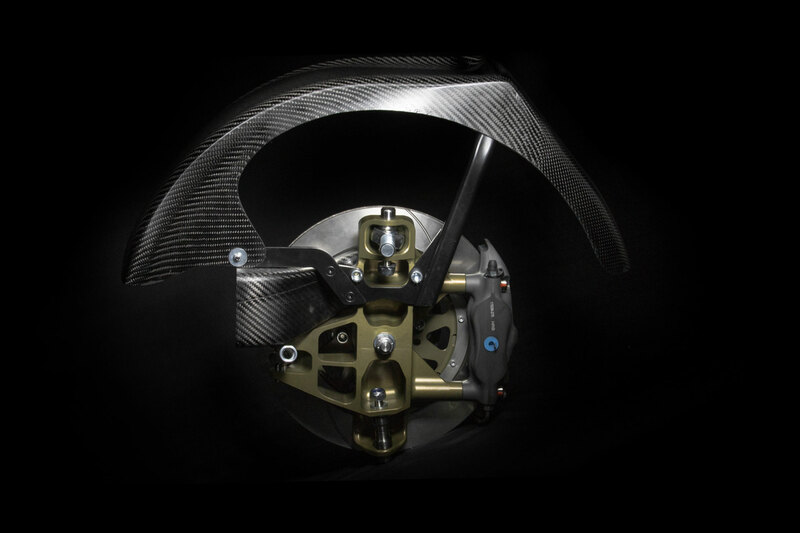 However, it has always bothered our racing drivers that the rear brake bias has to be reduced when running these internally ventilated AP brakes. 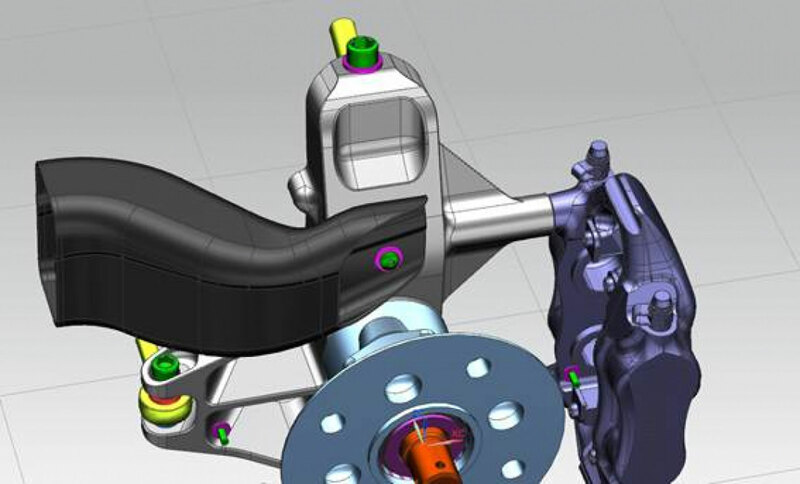 This prompted us to pursue a new approach towards improving the braking capability of the front axle. 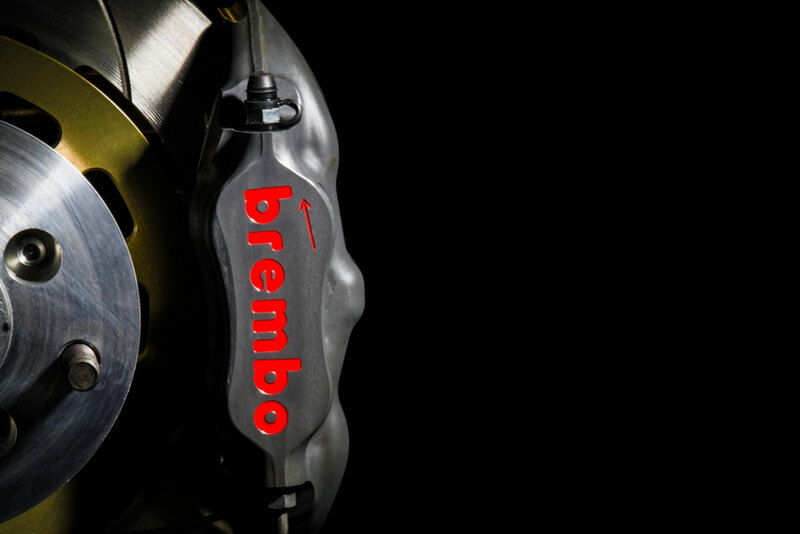 We soon discovered that both the Caterham Apollo wheel and our S3/S5 BBS wheels offer enough clearance to fit a larger diameter Brembo formula brake disc, even with the corresponding monobloc caliper. 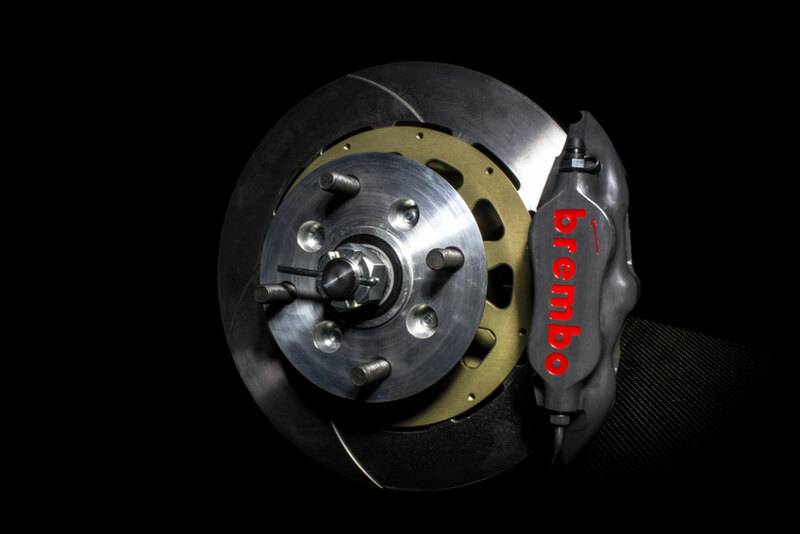 It is of course possible to mount the same formula brake disc through the use of special disc bells and adapter plates for the caliper. 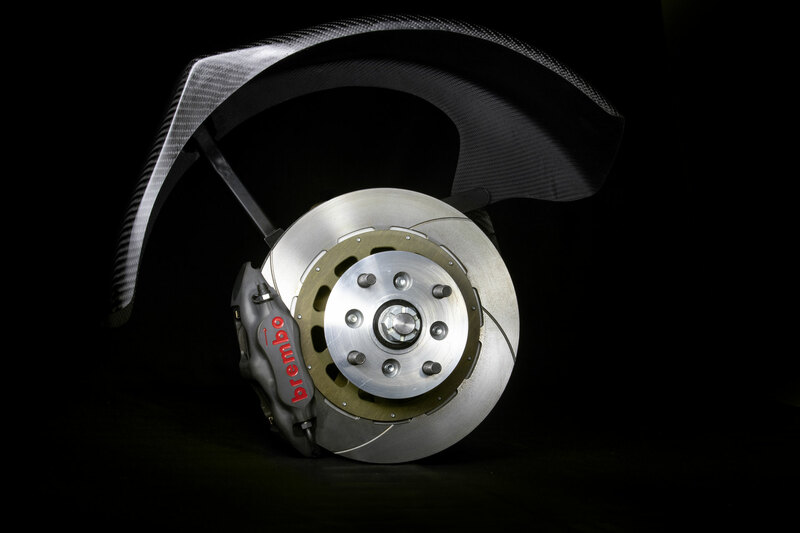 This would however not meet our overall criteria of providing improved braking performance, a significant reduction of unsprung mass and better steering characteristics by maintaining the same front end spring travel to counteract against any bump steer effects. Due to the fact that the original design and production method of standard Caterham wheel carriers dates back to the 1950s, we decided to commision one of the best racing designers available to help produce our own uprated wheel carrier. 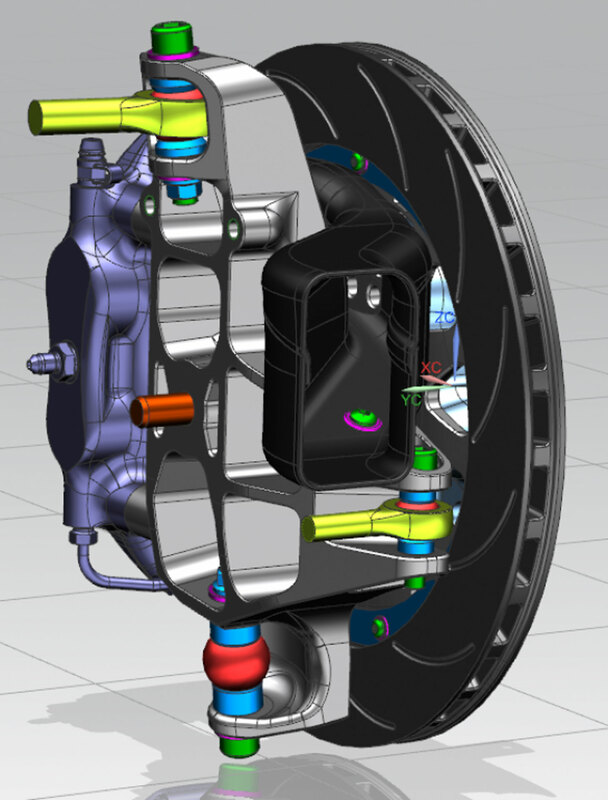 Using the latest CAD 3D technology, we scanned individual Caterham components, transfering the data into geometry and subjected this data to statistical strength-tests using various simulation programs. 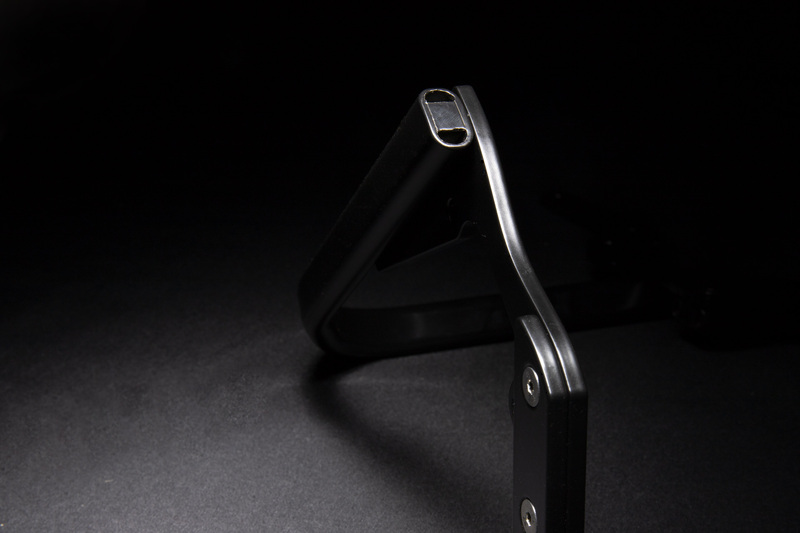 This resulting wheel carrier is machined from high-quality 7075 T6 aircraft aluminum CNC, which is then anodized to military standards. Before selling this product, we first installed and extensively tested this system on 8 different Caterham vehicles. A portion of these vehicles were of course from our own/Joachim Westermann's fleet, with the remaining test vehicles consisting of customer vehicles from Hong Kong (China), USA, Switzerland, Scotland and Germany. Due to this global dispersion of these 8 test vehicles, we were able to have top Caterham drivers test this system in various grueling whether conditions. Furthermore, we were not only able to test this system in normal traffic, but also on the Nürburgring Nordschleife, as well as other renowned grand prix race tracks such as the Hockenheimring, Nürburgring, Spa-Francorchamps, Magny Cours, Dijon, Imola, Mugello and Monza. Extensive tests were also carried out on Rijeka, Anneau du Rhin, Chenevieres, Chambley and Bilster Berg. Our customer from Hong Kong and owner of the well known Black Art Racing Team, Bill O´Brien, tested his system on various Chinese tracks at the China Super Endurance 4 Hour-, 6 Hour-, and 600km Race with pole positions, overall and class wins, as well as fastest lap. 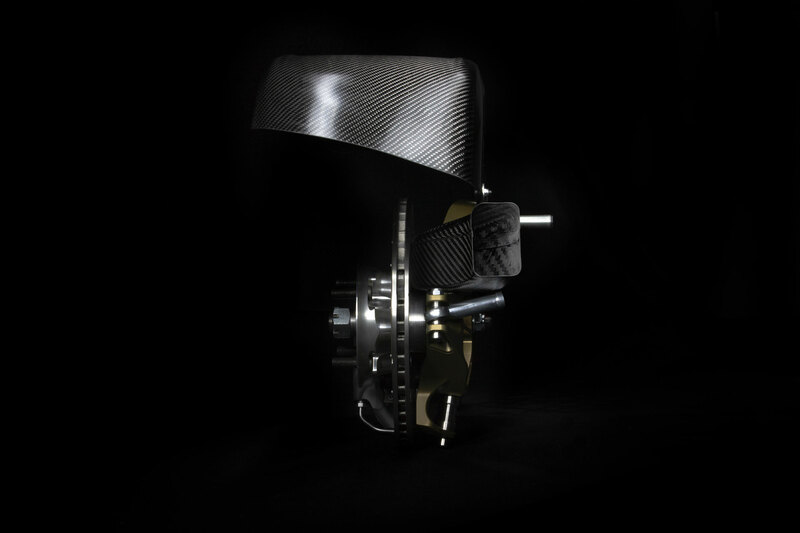 This breakthrough towards clinching an overall victory in the GT races with his 2.3L S3 was largely due to the improved performance of our Formula 3 brake & upright Kit. During the 3-hour race in Mugello in November 2017, SMRC drivers Joachim Westermann and Werner Schneider were able to secure a lead of almost 8 seconds on pole position in an international Caterham field. These accoloades have given us the assurance that this system will provide our customers with a mature and technically flawless product that can hold its claim towards substantially improving overall performance. As the saying goes, whoever brakes later is quicker. 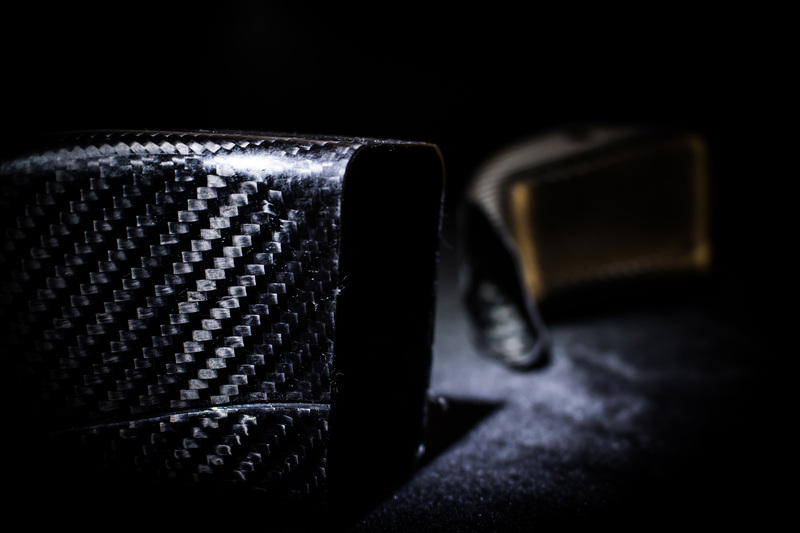 We have nothing against this philosophy, but we also believe that more safety and performance can be extraced from a system with an optimal balance of braking force through the use of a brake bias valve, along with optimal braking precision. Due to its improved torsional-rigidity and 5 kg reduction of unsprung mass, our uprated wheel carrier allows the vehicle to steer much more precisely with reduced effort. This improvement in handling with a 22mm lower centre of gravity can be felt immediately. As to be expected, we also supply corresponding uprated rod ends from our premium manufacturer, Hirschmann. These are a direct replacement to original Caterham wishbone and steering rod ends. These high-strength, maintenance-free rod ends out of stainless steel are manufactured exclusively for our/this application. 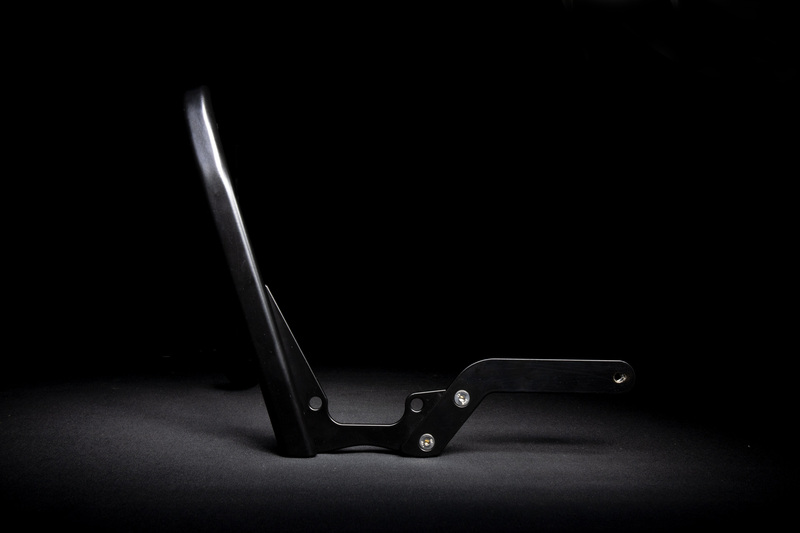 The upper rod end for attachment to the upper wishbone is 14mm in size, but is even lighter than our adjustable Uniball camber kit due to its M16x1.5 threading. Despite the weight savings, these rod ends still offer the same advantages of being able to dial-in exact camber adjustments with half turns that are twice as exact, all without the need of a puller tool. The original Caterham wheel hub and wheel bearing from 2003 is still compatible and not included in the kit, as even our ingenious designer found no need for improvement. 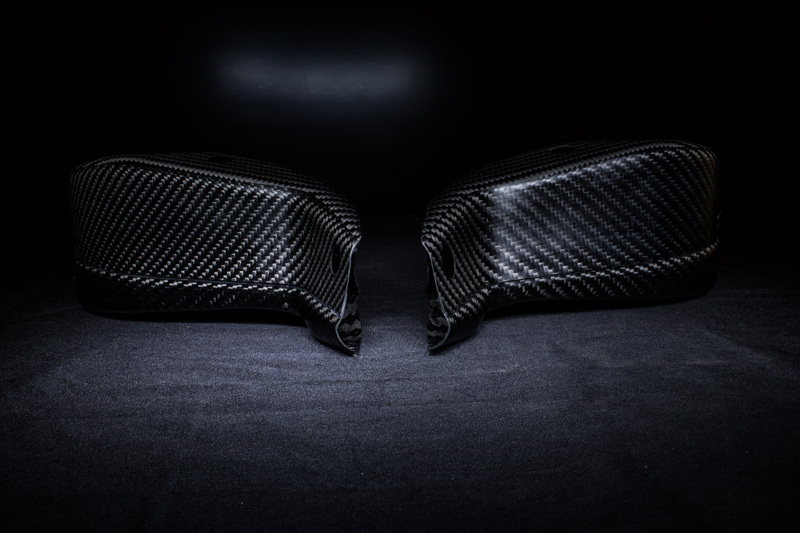 As an additional option, we offer lightweight air ducts made of temperature-resistant carbon fiber. These ducts are only 43g in total weight and allow for additional airflow to be routed to the brake discs for improved cooling. 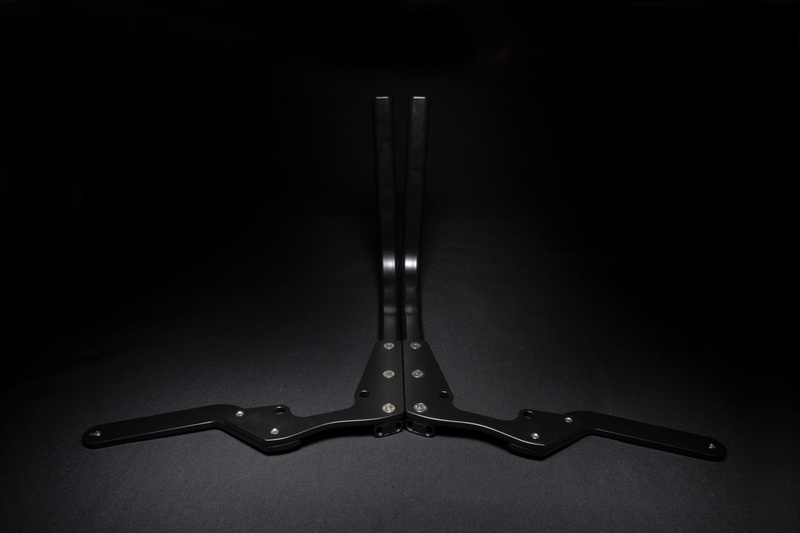 In order to correctly fasten our CSR cycle wings in the aerodynamically optimal, forward tilted position, we offer special lightweight cycle wing stays made of oval aluminium tubing. 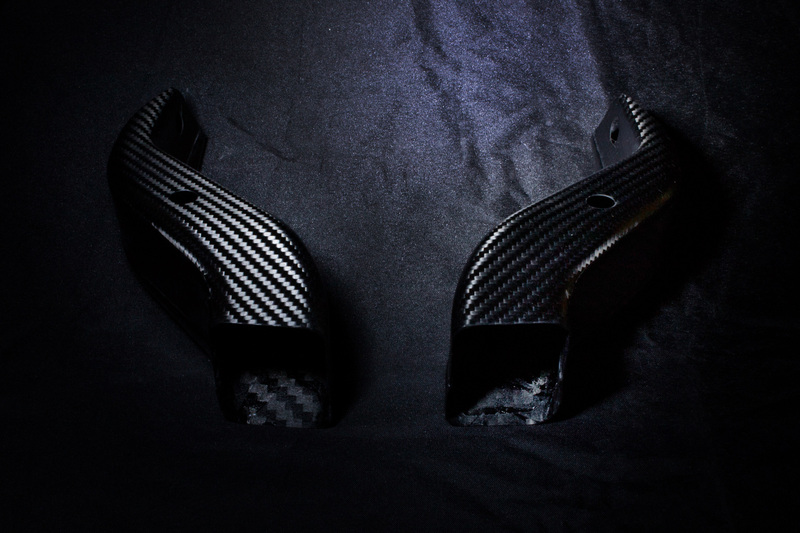 Each aluminium wing stay weights in at only 220g.